What Is Google Penalty and How To Deal With It? Google continuously updates its algorithms in order to provide its users with accurate information, distinctive content from the authentic writers and the best web experiences. And, it does so by imposing penalties. You must be aware of penalties in sports, for example, if a player does something against the rules and regulations of the game, they are penalized for their behavior. Based on the severity of the violation, players are either expelled from the game or disqualified for a specified time. The same applies to online publishers. The strategy is designed in such a manner that the websites not abiding by the policies, rules and regulations are penalized by Google (So, Google Penalty). The penalties affect the website performance on the Google services (search engine and ad exchange/network). Google continuously update and make changes in its algorithms in order to provide its users with accurate information, distinctive content from the authentic writers and ultimately the best web experiences. And, penalty helps the company to do so. Google penalizes only when it notices some anomaly with your website. There are three main reasons for Google to penalize your website. – Using artificial methods to increase website ranking and ad revenue. – Lousy user experience and scraped content (with no value-add) on the website. So, what exactly is Google Penalty? Google toolbar extension was released somewhere a couple of decades back and introduced SEO to the world. This SEO thing initiated the concept of PageRank. With time and the years, it refined and improved the quality of the algorithm so that only the quality content remains at the top. Google also penalizes bad advertisements, advertisers as well as the publishers who are running them. With programmatic advertising, publishers have increased their efficiency but this has brought in malicious, low quality and annoying advertisements on their sites. With such intrusive ads, it becomes a concern for advertisers as well as publishers. 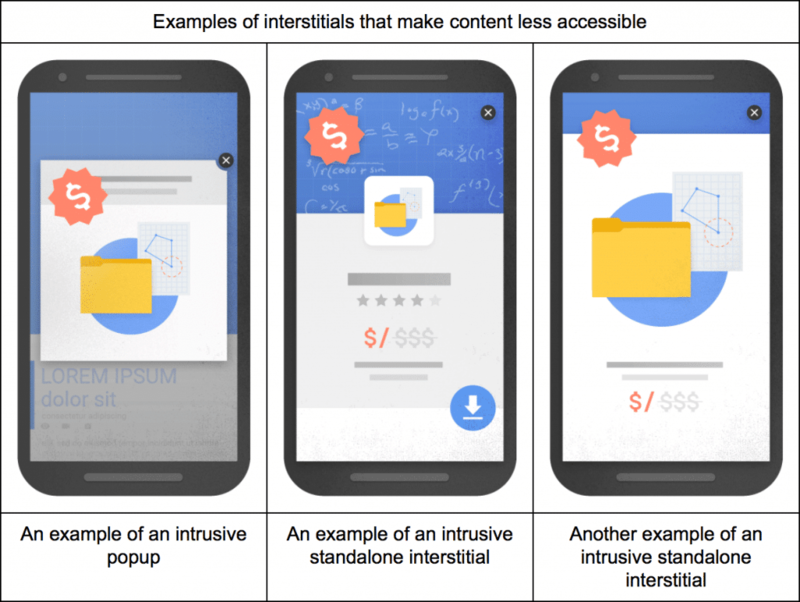 The websites with forced full page pop-ups are penalized and the ranks are pushed down by the search engine giant. Minor weather report: Update of http://t.co/kcDiRUjc launching today. ~0.7% of English queries noticeably affected. In order to protect the digital ecosystem from ad frauds, bad ads and scraped content from publishers, Google takes down such ads and ban publishers that support bad ad content in order to maintain integrity and transparency. Google took down around 1.7 billion ads which are double the number of ads taken down in 2016, as these ads infringed the policies. Since ninety percent of Google’s revenue is generated via the advertising, it has to keep the ad network clean and safe. How does Google Penalty affect publishers? Google not only intends to provide people with the information they are looking for but also works towards supplying the results that work well for any user. This is why it continuously updates the algorithms and comes up with policies such as rules to the rank site that are encrypted or mobile friendly. Also, there are policy updates that monitor advertisements of illegal products, self-clicking ads or pop-ups, or ads that are promoted from spam site like weight loss scams, forged goods, sites with malware etc. During the mid of this year, Google announced the implementation of new ad policies. When any publisher violates the regulations, Google takes off ads on its network (DoubleClick Ad Exchange & Adsense Ad Network). But, to keep a lesser revenue loss for a publisher, it would classify content page wise instead of the entire website while following the standards. This categorization assists in monitoring the ads and removing ads from the particular page that does not abide by the policies. This way it does not call for taking off ad from the entire site as it penalizes only a particular page. Here the content does not only mean the text but includes videos, images, graphics etc. So that you can take corrective measures to improvise your website performance and getting it back to the top. When publishers get Google Penalty? There have been cases in past where advertisers made their ad in such a way that it appeared like a relevant headline that goes well with the website content, but on clicking the link the consumer is diverted to scammy websites such as weight loss, payday loans etc. In such cases, Google takes strict action by suspending the advertiser account instead of penalizing by taking off the ads. It also records the traffic patterns from ads, backlinks, and the ad source to analyze and identify the people who scam frequently thereby suspending their accounts. One of the most serious issues of recent times is the ads published on the fake news sites. Such ad content is a part of Adsense Misrepresentative Content Policy. This policy was introduced in November which not only include fake news sites but also websites that are involved in fraudulent practices like selling copied papers, providing personal information and other fraudulent activities. With this, many publishers get kicked out of Google network as they promote the fake content on their site. Bad ads are not only malware or any other harmful content but also account for poor experience to the users. Google policies protect and make advertisers and publishers conscious about illegal actions (such as driving traffic and maximizing clicks by using bots), non-viewable ad environment or the unsafe brand environment. In addition, if you try to maximize your mobile web revenue by placing more ads, you might be devalued on search results. Here’s a good experiment on ad density. With the bad actors performing in the ecosystem, advertisers look for assurance that their ads appear at right places. Though Google and other ad exchanges do their part, publishers need to make sure that they are not getting spoofed and push buyers towards authorized sellers (Ads.txt). Scrutinize your ad exchanges and ensure they have a proven bad ad filtering technology in place. Run through your content and always maintain a blacklist of bad ad sources. Check for the bot traffic data and misleading messages on your website. Any misleading message that diverts to non-relevant or useless sites can invite blacklisting of the website. Also, the artificial traffic generated via bots and spiders impact the campaign performance as well as the revenue. Penalties are of two types – Manual and Automatic. Manual penalty s imposed when someone from the Google team has physically reviewed your website and found it violates the guidelines. This violation can either be on the entire site or on some pages. In this case, Google provides the list of issues and the actions required to rectify the problems. Once the changes are performed, you can resubmit the request to check if the penalty is removed. Usually, you’ll see such penalties (if any) on search console. The automatic penalty is the most common type in which Google runs algorithmic updates on their side. This is further classified into two – Panda and Penguin. – Panda penalty is levied based on the content quality and site usability. It usually rolled out on monthly basis. – Penguin penalty is linked with optimization and user experience. Pages loading with intrusive ads. Hidden texts and backlinks from other web pages. Keyword stuffing and a huge amount of duplicate content. A visitor is taken to another page without their consent (forced ad redirects). Enveloping the original page and showing a different version to the search engine robots. Involved in malvertising and fraudulent ad campaigns. – Check for the severity of the penalty. Is it due to cloaking, unwanted keyword stuffing or anything else? Not every offense leads to the same punishment. Try to improve the content quality, remove un-necessary backlinks and re-submit the consideration request. – Check what kind of offense it is? Manual or automatic, repeated or the first time? Based on the list of actions provided by the Google team to resolve issues, try to resolve each issue and make a request to cancel the penalty. – If the penalty is on the domain, try looking for a different domain. You need to be patient with Google, at the same time, you need to play by the rules to get good results. You can try tricks but can get into trouble easily if guidelines are not taken care of. Adhere to guiding principles, promote the website on legal digital mediums and consider white hat SEO tricks such as targeted keywords, mobile friendliness, unfollow external links, etc. to avoid penalty. The key to eliminate Google penalty is to understand its cause. Once the cause is identified, it becomes easy to resolve and update your ads and site for successful performance and providing a safe place for users, publishers, and brands.